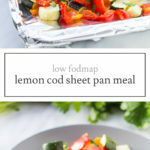 This easy Low FODMAP Lemon Cod Sheet Pan Meal is filled with roasted Mediterranean veggies and fresh lemon. 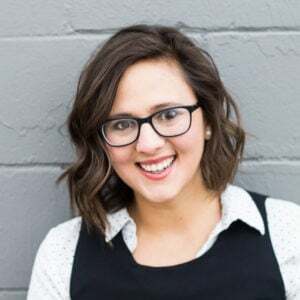 Scroll through your Facebook feed and I bet you’ll find at least recipe video for a sheet pan meal. 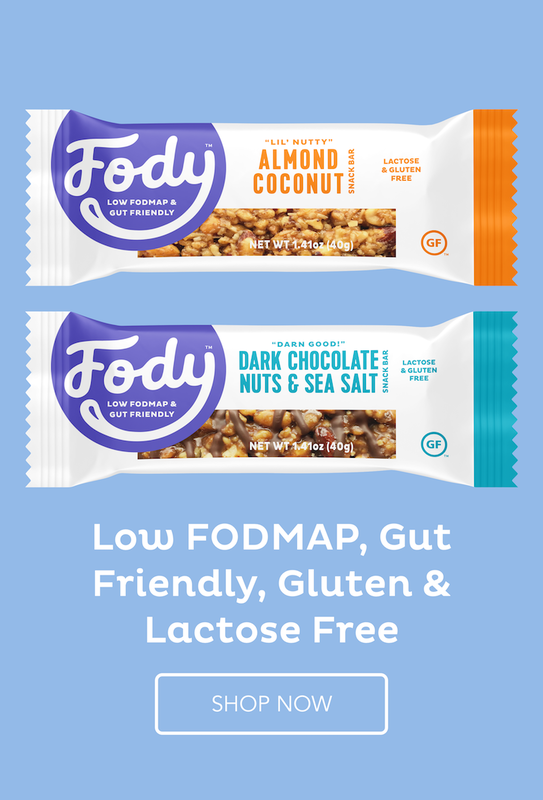 They’re super trendy right now and for good reason. Sheet pan meals are an easy way to get a complete meal on the table without having to juggle multiple pots and pans. The key to a successful sheet pan meal is selecting a protein food and veggies that will cook in about the same amount of time. 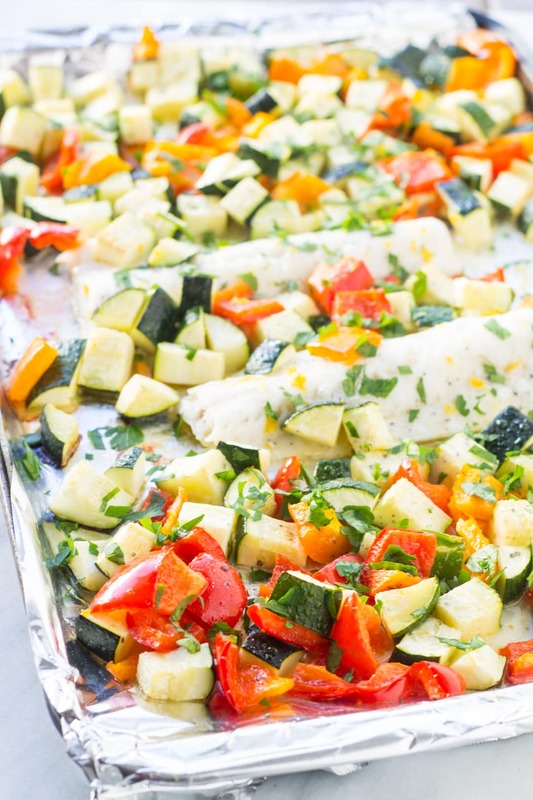 Because fish tends to cook more quickly than other protein foods, this Low FODMAP Lemon Cod Sheet Pan Meal includes quicker cooking veggies, like summer squash and bell peppers. 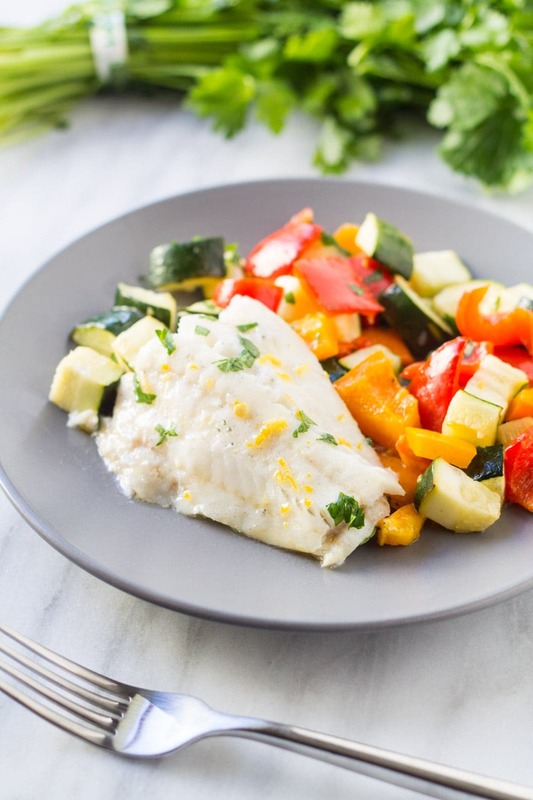 Whole30-compliant Low FODMAP Lemon Cod Sheet Pan Meal is filled with roasted Mediterranean veggies and fresh lemon. Preheat oven to 400°F. Line a baking sheet with optional aluminum foil. In a large bowl, toss together diced zucchini, summer squash, bell pepper, olives, 2 Tbsp. olive oil and half of the lemon zest. Set aside. Place cod on the baking tray. Pour half lemon-olive oil mixture over fish. Flip and repeat with remaining liquid. Add vegetables to the tray, spreading evenly into one layer. Bake for 15 minutes or until fish is done and flakes easily with a fork. Serve. Zucchini: A low FODMAP serving is a ⅓ cup or 65 grams.